The PT9011OVL is a tool steel beam sealed to IP67, electroless nickel plated and ideally suited to onboard vehicle weighing. 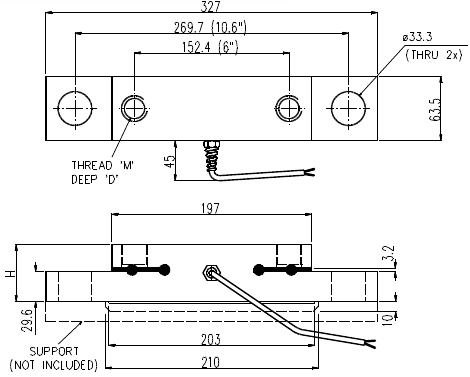 The PT9011OVL can also be used in standard weighing installations where a rigid connection is required to keep the load in place and can support various axels or bearings in industrial weighing. Each load cell comes with the standard PT Ltd serial numbered accuracy certificate and our famous 3 year warranty.